Tonight I attended the Chicago .NET Users Group (CNUG) out in Downers Grove. The presenter was Jim Szubryt whom I work with at Accenture on a pilot project for automated deployment (or continuous deployment) at Accenture. It was a real interesting discussion about TFS. A lot people had questions on the TFS cloud service from Microsoft that I had not considered. Git was covered and thoroughly bashed but it is a Microsoft 1.0 implementation. Perfection is a bit much to demand. He showed a lot of reporting, analytic services and other features that were really impressive. As an end user (mostly developer), I knew a fraction of these features existed but seeing them live, it makes me think that developers don’t fully know how to leverage this type of information as it’s typically reserved for project managers or perhaps senior/lead developers. 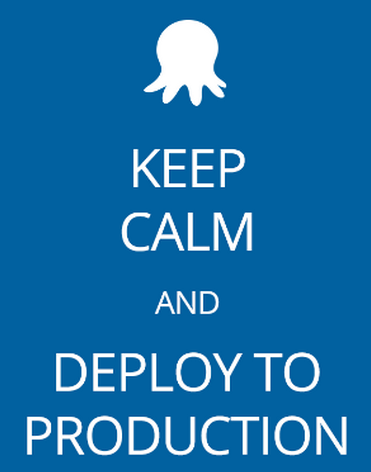 The discussion meandered it’s way onto automated deployment and I got to chime in on a few questions, mostly pertaining to InRelease *ahem* Release Management (Microsoft bought InCycle early in 2013) and Octopus Deploy. I’ll post some of my findings in the new year. All in all, it was a fairly solid crowd given the fact that it’s December 18th. Kudos to Jim on a lot of great information and a shout out to Keith Franklin for running CNUG! I *thought* I had an RSS feed. Let me figure it out and get back to you later this week.